The Sony RX100 VI has finally been introduced and I really do not know where I should begin with this camera. Sony has, without question, once again pulled out all the stops and made a terrific camera. In fact, the improvements completely go past my requirements for a pocket compact camera. When you turn on the new Sony, it is immediately evident that changes have been made to the lens. Whereas its predecessors (RX100 III – V) had a standard zoom with their classic range of 24-70mm, the RX100 VI has broken new ground. The focal length now ranges from 24-200mm (converted to 35mm format), which makes the VI count as a travel zoom camera. Hats off for this performance. It does however come at the cost of light intensity. With the previous model you could open the aperture at a wide angle up to f/1.8, or 2.8 in teleconverter. The RX100 VI cannot do this – it can only do a maximum of f/2.8 at a wide angle, or f/4.5 in the teleconverter. If you accustomed to the built-in ND filter on the RX100 III-V, you will have to change back on the RX100 VI, as there is no ND filter. It is a shame. 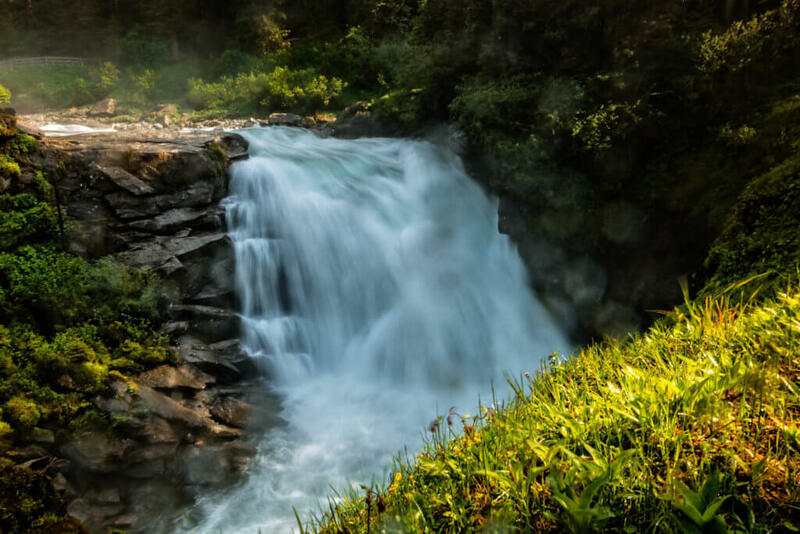 With an ND filter you can have a longer exposure time, letting you, for example, “smoothen” water. But the filter is also important if you are filming outside, as you could attain a reasonable exposure time with an open aperture. And all without additional accessories! To compensate for the dim lens, Sony has given the camera a new image stabiliser. Supposedly, you can get 4 stops out of it, which is good. However, this of course will only be of use if the object is not moving. I actually thought that the RX100 VI would be more like a video camera than a photo camera, but there have not actually been many improvements for video recording. Sony has given the camera an HDR mode, though, for which there are new HLG (hybrid log gamma) picture profiles. If you have a compatible monitor or television, you can see the differences in this video. The autofocus on the Sony RX100 V was not slow, yet Sony has still improved its performance. Whether the difference is actually noticeable, I am not sure. It has not done any damage in any case. Sony even speaks of an eye AF that is twice as fast. Wow! A folding display is always good and I would like it on my camera. In the previous models, you could fold the display 180° upwards and 45° downwards. This was fine, although I do not have anything against the new mechanism, the RX100M6 can fold down up to 90°. The built-in viewfinder on the RX100 has a lot of fans. To use it, all you have to do is extend it and you no longer need to pull it back. All new cameras from Sony come with a touchscreen for focussing and triggering, as does the RX100 VI. Finally! From what I know, there is not much more that it does. But that is enough. The new lens makes the camera 1.8mm thicker and 2 grams heavier. If you have ever transported a Canon G9X or a RX100 M1, you know that every millimetre and every gram count for a portable camera. The dimensions and weight are in line with cameras of this type, though. A Canon G7X II is not smaller or even heavier. Wrong name or what for? Hats off to Sony for putting such a lens into such a small camera, wow! But why? I rarely ever need a focal length of over 100mm (or even over 70mm), so there is no need for me to constantly lug around such a lens. In addition, the lack of focal length can be compensated to some extent. You can, for example, get closer to the object or crop the picture afterwards when in digital zoom. Digital zoom has also changed in the last few years, which Sony calls Clear Image Zoom. On it, it is not simply dull scaled, much more details are obtained through various software tricks. Of course, digital zoom does not replace real focal length, but here we are talking about a compact camera, that is always there when you need it. As such, it needs to be small and lightweight, and going closer to an object or using digital zoom is possible without additional equipment. It is much harder to replace the ND filter without additional equipment. For photos there are a few tricks, but it is noticeably more complicated when recording videos. The same applies for the lower light intensity. Having to drag along a tripod somewhat defeats the object of such a small camera, and if you take the photo hand-held, all it will do is stop the blur of the camera, but not the motion blur of the object. And no, I do not think that the noise behaviour of the camera is so much better that you can simply work with a much higher ISO sensitivity than with the previous model. 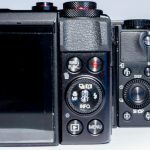 Sony has packed too much on the wrong parts of the RX100 VI, and in turn it has taken too much off of other parts of the camera. I can understand that many people want more zoom, but in that case the RX100 is not for them. It would have been better to establish a second series along with the RX100 series, the RX50, which sits between the RX10 and RX100. The RX100 VI would then have once again shown the typical features of the RX100: a larger sensor with a bright lens. Sony could have worked with smaller sensors in the new series, then it would have been much easier to achieve a large zoom. Paired with a light-intense lens and a current smartphone sensor, such a camera would be as good as a RX100 VI. It could even surpass it. But should’ve, would’ve, could’ve. Sony chose not to do this. The RX100 VI is here, with a large zoom, whether I like it or not. The RX100 V is a nearly perfect camera. The only reason I did not buy it is because it does not have a touchscreen and it is ridiculously expensive. Nonetheless, I still have more ideas for a RX100. How about, for example, filming in 4k with 50-60 fps or 240 fps in full HD? Or, instead of the viewfinder, Sony could have left some space for cooling, so that you could film in 4k for longer. A microphone input would have also been a great feature to have. And if you do opt for a new lens, why not with more wide-angle? When the never-before-released DL series by Nikon was unveiled, the fact that there will soon be a professional compact camera with 18mm wide-angle lens was widely welcomed. Travel zoom and superzoom cameras are already enough. Or how about more light intensity? Panasonic has its hot potato in the fire at least, the LX15, with an open aperture of f/1.4 in wide-angle, and Canon has managed it with the G7X, with the aperture going much more slowly when you zoom. There is actually a whole load of possible features that Sony could have brought in. What has been introduced to us now, however, sounds more like a marketing gag to me. 8x zoom is simply easier to sell than a “built-in ND filter”. As aforementioned, I had not even held the camera yet and wanted to be proven wrong. Everything that I know about the camera up to this point has not swayed me. The camera is certainly good, but it does not match with the concept of the RX100 series. I expected changes in other areas. Those who want more zoom can get the RX10. In that case I would want a RX10 IV with the lens from the RX10 II. Interestingly, Sony is also going this way by getting the greatest possible focal length for the RX10. For me, an RX100 needs to be small, lightweight, have a high light intensity and be universal with phenomenal video features. The RX100 VI only covers part of this. Too bad. At first glance, I appreciate the fact that Sony is not taking the old models off the market, meaning that we as consumers have more choices. We, as consumers, do not have the real advantage of this policy, though, but Sony does. Once the cameras are developed, they are sold forever. The development costs have long since been paid off, so now money is made. There is nothing wrong with that. But would it not be better if the “old” cameras could get an update too? Why not pack the new technology into a RX100 Mark I case, so that the customer can decide between a smaller or slightly larger camera? 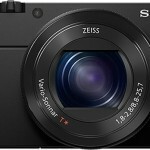 Why not bring a RX100 V Mark II (sounds funny!) with a touchscreen to the market? For the RX10 I already said it before. If I want the phase comparison AF and touchscreen, I have to buy the monster with 600mm focal length and variable open aperture. But I do not want that, what I would like though is the somewhat smaller variant with 200mm and 2.8 aperture, but the newest technology does not have this. 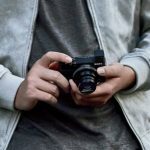 Canon EOS M50 vs. EOS M100 vs. EOS M6/M5: What’s the difference? Previous Photo lab – The Nikon D850 vs.the D810 vs. Sony A7R II vs. Canon EOS 5DsR, which is better? Next Nikon Z6 vs. Z7: what’s the difference? Sony DSC-RX100 III vs Canon G1X Mark II Comparison, Which is better?